[PDF] Gods, Demons and Symbols of Ancient Mesopotamia: An Illustrated Dictionary | Free eBooks Download - EBOOKEE! Description: Ancient Mesopotamia was a rich, varied and highly complex culture whose achievements included the invention of writing and the development of sophisticated urban society. This book offers an introductory guide to the beliefs and customs of the ancient Mesopotamians, as revealed in their art and their writings between about 3000 B.C. and the advent of the Christian era. Gods, goddesses, demons, monsters, magic, myths, religious symbolism, ritual, and the spiritual world are all discussed in alphabetical entries ranging from short accounts to extended essays. Names are given in both their Sumerian and Akkadian forms, and all entries are fully cross-referenced. A useful introduction provides historical and geographical background and describes the sources of our knowledge about the religion, mythology and magic of "the cradle of civilisation". 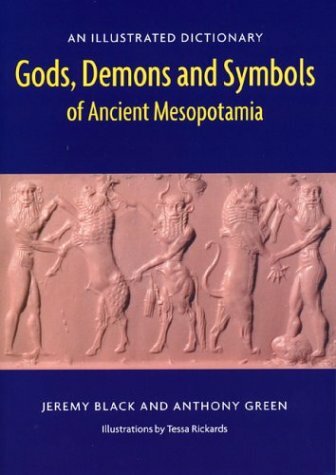 No comments for "[PDF] Gods, Demons and Symbols of Ancient Mesopotamia: An Illustrated Dictionary".